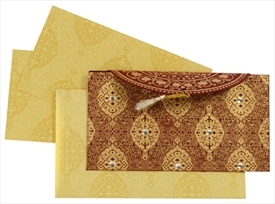 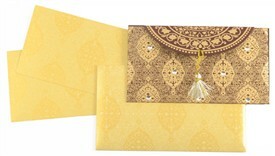 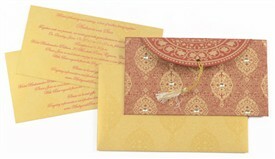 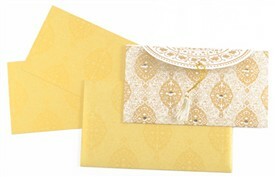 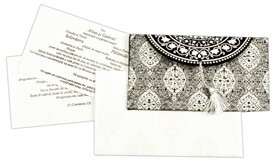 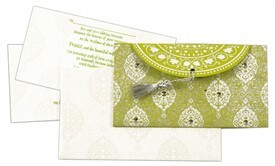 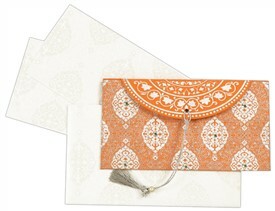 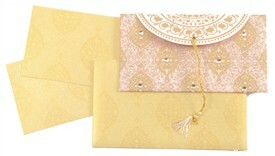 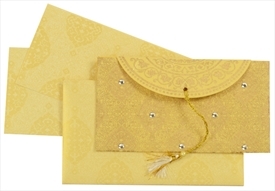 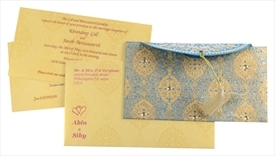 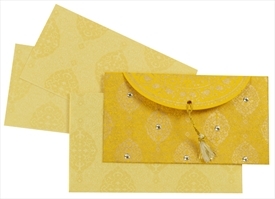 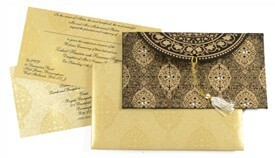 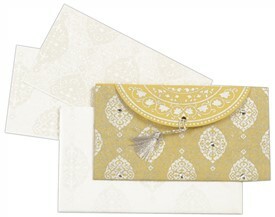 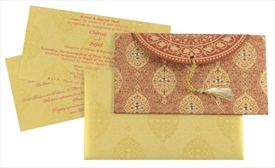 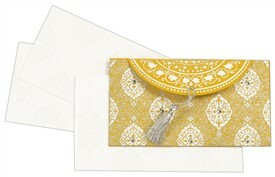 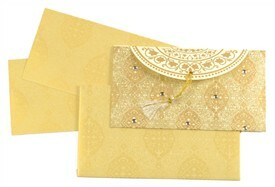 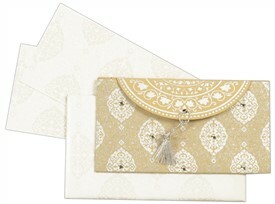 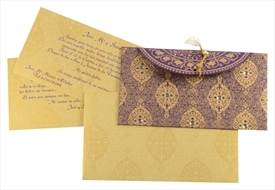 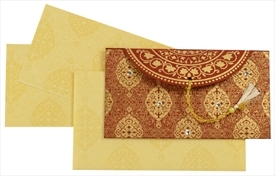 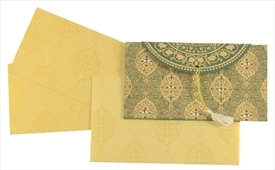 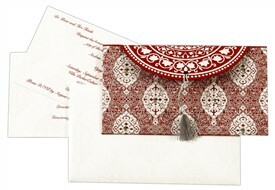 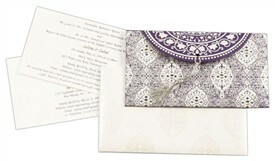 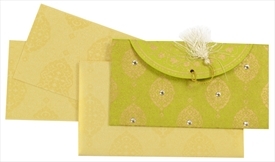 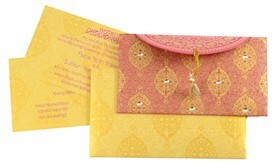 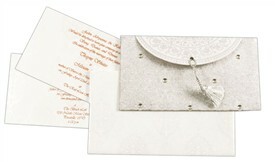 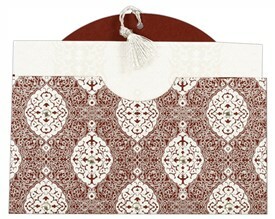 D-4759, Cream Color, Small Size Cards, Designer Multifaith Invitations. 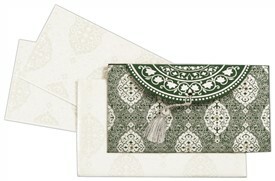 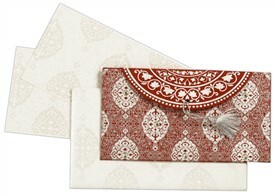 The card is designed in shape of a pocket holder. 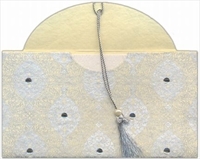 The top flap is lifted with tassel to pull out the inserts. 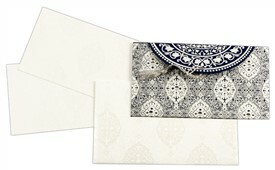 Intricate design printed on pocket. 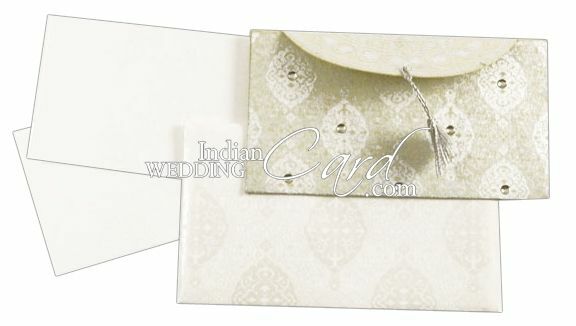 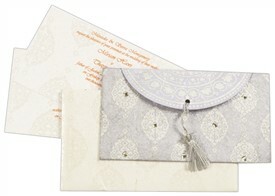 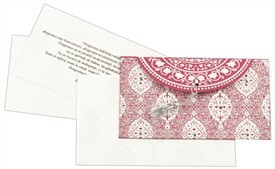 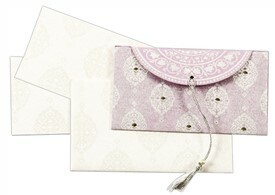 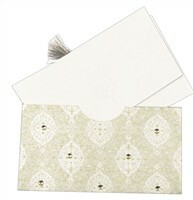 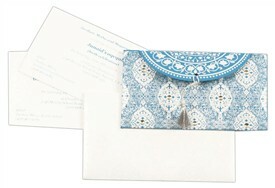 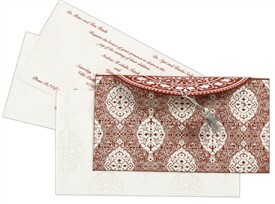 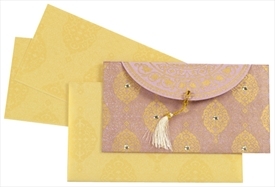 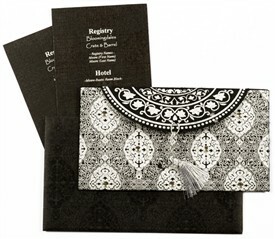 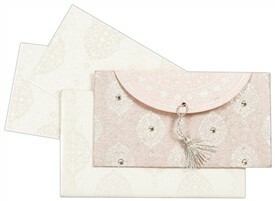 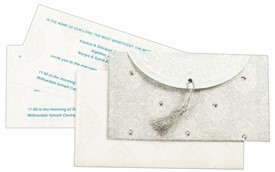 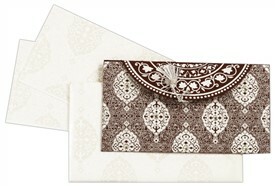 Similar design in pearl color replicated on envelope and 2 inserts. 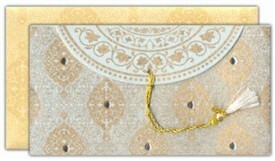 Rhinestone work on front of card.